Cary, NC – Feb. 16, 2016 – INDA’s Journal of Engineered Fibers and Fabrics (JEFF) has strengthened its collaboration with academic scholars and industry experts with its appointment of new editorial leadership. 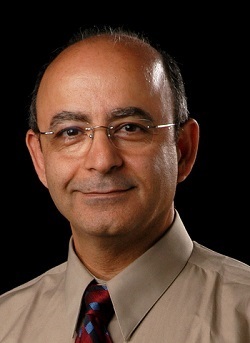 Behnam Pourdeyhimi, Ph.D. and Executive Director of The Nonwovens Institute at NC State University, has been named Editor-in-Chief of the international, peer-reviewed, scientific e-Journal. Michael Starsinic, Ph.D., also joins JEFF as Managing Editor. Pourdeyhimi is the 2015 winner of the Oliver Max Garner Award for contributions to health and human safety, the highest faculty honor in the North Carolina University system. He is also the William A. Klopman Distinguished Professor of Materials in the College of Textiles at North Carolina State University where he also serves as Associate Dean for Industry Research and Extension. Pourdeyhimi brings to the editor role extensive knowledge and close ties to both the industry and academic institutions across the globe associated with nonwovens and related technologies. Starsinic brings more than 30 years of experience in material and polymer science. He worked in nonwoven resins at Montell/Himont (now Lyondell Basell) and in fibers at Allied Signal (now Honeywell), giving him the knowledge to recognize relevant and important research in the field. The addition of these two experts will benefit fibers and fabrics engineering researchers seeking to publish peer-reviewed academic papers, and establish JEFF as the pre-eminent journal for nonwoven and engineered fiber and fabric-related research. JEFF publishes original R&D papers on all aspects of fiber and fabric technologies and their value chain from raw materials to end use products. New and outstanding faculty as well as seasoned researchers seek to get published in JEFF and expand the awareness of their work. Accredited by Thomson Reuters, JEFF also offers readers an expanded Science Citation Index (SciSearch®), Materials Science Citation Index®, and Journal Citation Reports/Science Edition. For information, visit http://www.inda.org/about-nonwovens/jeff-journal/. JEFF welcomes questions or comments about the articles and the journal in general by emailing JEFFManagingEditor@inda.org.